Ubisoft has released a new Story Trailer for the Tom Clancy’s The Division 2. The new trailer showcases the story which shows that the D.C is about to collapse and there is no law. The country is getting closer to the civil war, and the country has just gone through the deadly virus outbreak. And now the Wandering packs of hyenas, religious pariahs, and corrupted extremists go after the weak and murder the innocent, each has their own agenda and are trying to get the control of the capitol . The only hope to get the country back from these enemies are the division agents who are struggling for the country, who will get it back from the enemies and will write the history that will be remembered forever. 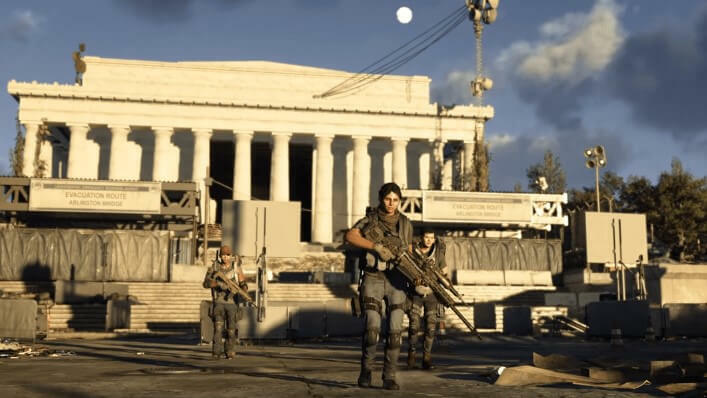 Unlike anything before it, The Division 2's Washington D.C. is a 1:1 representation of the real city, making the game world more authentic than ever. The game's map offers up-close-and-personal views of landmarks, natural landscapes, neighbourhoods, and enemy hideouts." Tom Clancy’s The Division 2 launches on March 15 for PC, PlayStation 4, and Xbox one. If you pre-order now you can play private beta from February 7-11 or you can sign up for a chance to play the beta.